ABC will be broadcasting It's the Great Pumpkin, Charlie Brown twice this October: an edited version on Wednesday, October 19, 2016 from 8:00 - 8:30 PM (Eastern/Pacific), and the full unedited version together with You're Not Elected, Charlie Brown on Friday, October 28, 2016 from 8:00 - 9:00 PM (Eastern/Pacific). This October is the 50th anniversary of the It's the Great Pumpkin - it was first broadcast on October 27, 1966. As far as we know, there will be no special TV commemoration of the anniversary; but at least the original unedited special will air 50 years and 1 day after it first aired! On October 4, Warner Home Video released a DVD titled Charlie Brown's All Stars 50th Anniversary Deluxe Edition. It turns out the titular baseball-themed 1966 special is not the interesting part of this release (since it has been released on DVD before; see the previous blog post). 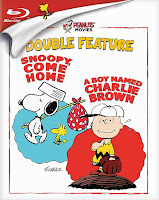 The real reason for Peanuts fans to pick up this disc - even if you have Charlie Brown's All Stars on DVD already - is that the "bonus episode" included on the disc is the 1982 special A Charlie Brown Celebration, which has never been released on DVD in the US before. 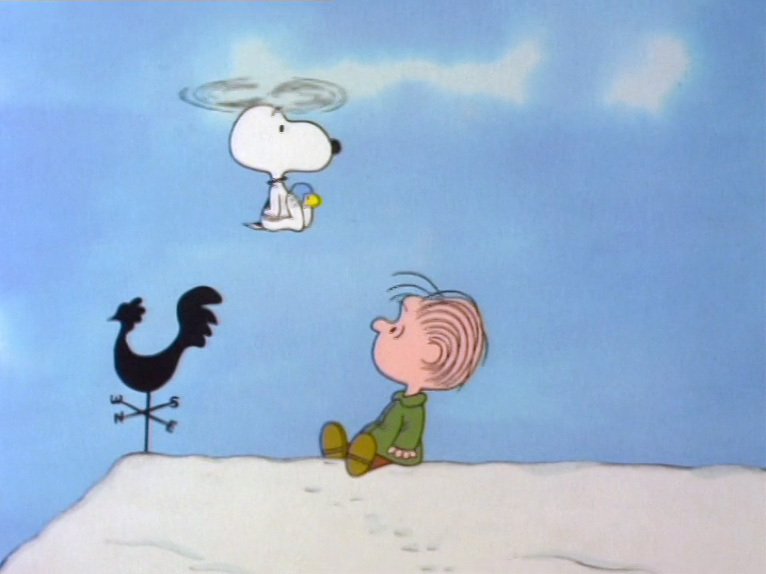 This 48-minute show consists of skits based on storylines from the Peanuts comic strip (similar to "The Charlie Brown & Snoopy Show" episodes). 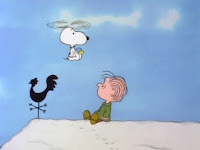 The special is introduced by Charles Schulz himself, and some of the skits are: Peppermint Patty accidentally enrolls in dog-training classes; Charlie Brown goes to the hospital, and Lucy promises not to pull away the football if he gets better; and while on a field trip, Linus meets a new paramour "Truffles," gets trapped on top of a barn and must be rescued by helicopter (aka Snoopy). Unfortunately, A Charlie Brown Celebration has not been restored or remastered for this release, looking particularly rough at the beginning, and suffers from scratches, dust spots, and occasional washed out colors throughout. (Which is ironic considering how the press release touts that All Stars has been given "completely remastered in beautiful high definition.") It's probably still better than the special not being released on DVD at all, but it's disappointing that Warner made no effort to clean A Charlie Brown Celebration up. It may be the poorest quality I've seen on a Peanuts DVD release. The Charlie Brown All Stars 50th Anniversary Deluxe Edition DVD featuring A Charlie Brown Celebration is out now, and and has a suggested retail price of $19.98. 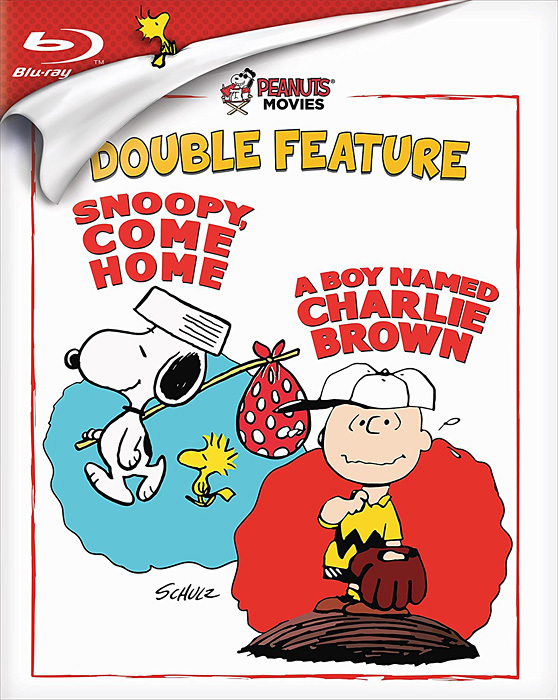 In other home video news, CBS/Paramount has announced they will be releasing the A Boy Named Charlie Brown and Snoopy Come Home Blu-ray discs in a double-feature set on November 1. The set contains both films on two discs in one case, and at $29.99 list price, is significantly cheaper than buying the two films separately (which have a list price of $24.99 each). Releasing a cheaper double-feature set less than two months after the first releases is rather insulting to those of us who supported CBS/Paramount by buying the films in September. If you haven't picked up the films yet, definitely wait for the double-feature set.